Hi Girls!! Well, if you have been hopping around the By LORi Designs Digi Shop then you might have noticed we have some empty spots next to a few of the images. There should be a Sample Card there. Here is where you all come in....Let's Have a Contest!!!! 2 - Make a card with the images that need a sample card. 3 - Add your card/entry here to this discussion over at the Paper Craft Planet byLORIdesigns Group by November 24th. The contest closes November 24th. The winning cards will be placed in the BLD Shop as our sample cards and each winner will receive 2 Digis. Good luck and Happy Card Making!! Yippee - i am the FIRST follower!!! I would love to take part in this contest so need to go and find an image to use. I've never entered a contest before. I'm a bit intimidated by the thought - but I'm gonna give it a shot! 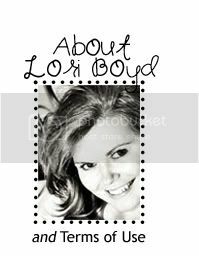 Congrats, Lori, on the new challenges on your BLD blog -- everything looks OUTSTANDING and YUMMY!!!!! !